Are you a Snowflake too ? If you complain about everything and anyone, or even over-focus on one area, you are a snowflake. The cure is to get out more. Who says those with hearing loss aren't normal? The family of two deaf girls wants to raise awareness of life with hearing loss and make thousands for charity. Lily Murray, 10, and her sister Fearne, one, of Derwent Road, Workington, both suffer from hearing loss. They have had hearing aids, learned sign language and last month Fearne had a cochlear implant turned on which should enable her to learn to speak. 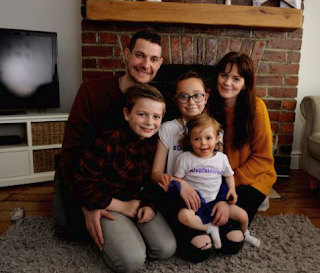 The girls' parents, Alan and Nicki, and brother Elliot want to get the message out that the pair are normal girls to improve understanding and help other people affected by hearing loss to find support if they need it. The family has been using the motto #Deafkidsrock to celebrate their children and hopes more people will join them in lauding the things that make them different. Alan said: "Our little girls are no different to anybody else, we make the best of it and get on with it. "There are people around if you want to talk to them and they can put you on the right avenues. "I'd like to show other people living with hearing loss that you're not alone," Alan said people will often stare and whisper rather than ask questions about hearing loss and the family is keen to change that. Lily has worn hearing aids in both ears since she was four and has faced bullying as a result but she doesn't hide her disability, opting for bright pink models covered in glitter. Alan said: "She's faced the bullying that comes along with having a disability. Can ATR as a long-term blogger to Deaf.Read request they immediately ban Biblio-Market making any more contributions? It is blatant spamming of a deaf/HoH site that is forcing UK/USA ASL, BSL, and the hard of hearing from making contributions to what is supposed to be a dedicated area for us. Every contribution by us is 'countered' with 10 advertising blogs. They are also bumping up views themselves. Whilst at ATR we are aware advertising revenue/funding is a differently accepted thing in the USA, (The UK tends to block most attempts to advertise, ATR blocks UK charities doing it), there are no apparent attempts to include or support us with this advertising spammer. You would think as a UK spammer of a USA site they would act on that alone. I am assuming DR still HAS a moderating team? American deaf have told me they believe DR abdicated the job and said DR has run its course. Noting 'top 10' awards are still left on the site from many years ago and the site is not updated. 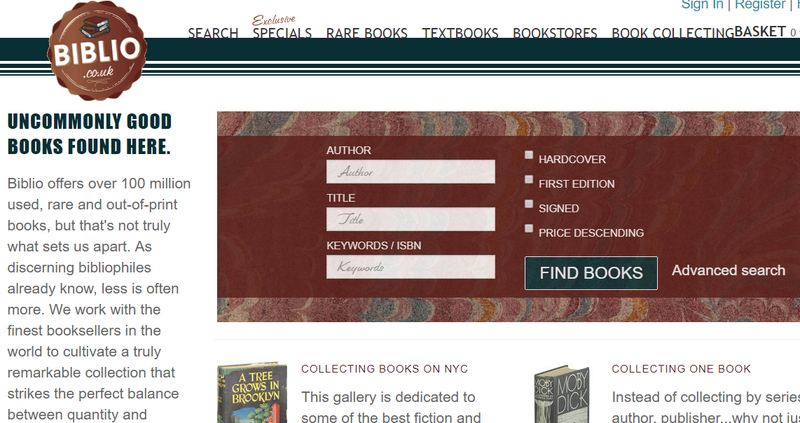 The rot setting in when brilliant USA contributors left DR because a change of moderation allowed an influx of trivia, now it is just a site plugging BOOKS in the UK? As a deaf person who is a contributor to a deaf aggregate in the USA 'Deaf'Read. http://www.deafread.com/ I ask will you please refrain from spamming a site dedicated to deaf and HoH people, there must be numerous areas you can ply your wares without hijacking a site dedicated to vulnerable people? your cooperation and immediate withdrawal from this site would be appreciated. The horse has already bolted, no-one has any respect for MacVey, the DWP or its dept and ministers when they killed by neglect and cuts to life-preserving support and care, 6,300 disabled people and made 800,000 on welfare almost destitute and homeless by cuts to their care and support. What other western government demands you offer them respect or die? Many disabled areas are now considering cutting all ties to charities that are colluding with the UK state. 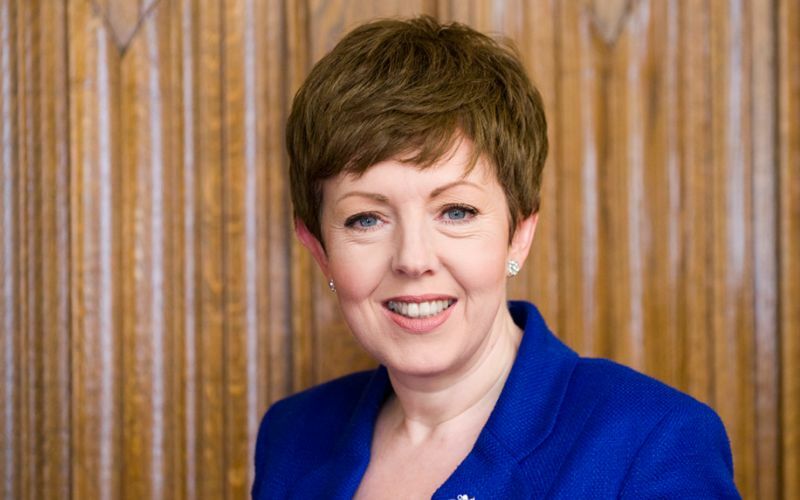 The Charities Commission – a non-ministerial government department – is chaired by Baroness Stowell, a former Tory community and local government minister and a former work and pensions spokeswoman in the House of Lords, who resigned the Tory whip when she was appointed to chair the regulator. This week, the commission has refused to express any concern or take any action after it emerged that disability charities had signed up to contracts that include strict clauses preventing them from criticising McVey or DWP. The commission said yesterday (Wednesday) that it was “not aware of any specific regulatory concerns regarding charities and the Work and Health Programme”, despite being shown one of the clauses. Both the National Council for Voluntary Organisations (NCVO) and the Association of Chief Executives of Voluntary Organisations contacted Disability News Service (DNS) this week so they could examine the clause, after reading last week’s news story. So far, charities including Shaw Trust, Leonard Cheshire Disability and RNIB have confirmed that they have signed contracts – either with DWP or with one of the five main Work and Health Programme contractors – that include clauses that prevent them bringing DWP and McVey into disrepute. The Listening Project Trailer from Vermilion Pictures on Vimeo. Seeing a language, missing the loss point? It depends on the mastery of the language and skill, not mere usage. There are illiterate signers too. A lot is lost in translation. Sign use gives no indication of academics or mastery of language used. Loss and background is the definer. Sign masks the issue of hearing loss and how it disables the person, it can also suggest what isn't really there, e.g. the ability to cross hearing-deaf divides with no issue (The myth of bilingualism). Does it also mean those deaf that don't use a visual language form don't exist? cannot communicate? don't have a language? don't have a culture? DO have a disability? Statistics say non-signing deaf are the majority. I'm all for debate on communications, but thinly-veiled sign language plugs are what they are. Most cultural definitions would appear to exclude the Deaf too. They don't fit all the cultural criteria. Welsh Deaf beat England (Rugby). It couldn't have gone any better for Wales Deaf Rugby Union who have been crowned world sevens champions after beating England 21-15 in their first major tournament in over a decade! CAN YOU READ MY LIPS? from Little Moving Pictures on Vimeo. The conundrum of culture versus disability! Active Alliance looks to be some sort of half-hearted bridge making, to enable more deaf participation in the Paralympics, to offset the resistance by cultural deaf who are afraid the Deaflympics will fold as a result, it will fold eventually because sports funding has an inclusive policy, and that is the reason deaf AREN'T included, because they are anti-inclusion, using culture or even sign, as an excuse. Can't see this going anywhere useful until the Deaf make up their minds who they really are and not put up different personas depending on how much funding they can get or divert to the Deaflympics instead. It is not as if they can achieve the required time qualifications as it is, and this makes it really difficult (And unfair), when deaf athletes are not able to compete against all comers and, all cultures, because of silly dogma or because their competition can hear. Either go for access or remain a spectator. The 'Deaf' have opposed on numerous grounds to be labelled as disabled people. Maybe AA needs to examine if the deaf participation is genuine or not? D/HH Visor Cards from WVCDHH on Vimeo. Here is our long-awaited video for our new Deaf/Hard of Hearing Visor Cards! We worked hard to come up with the ideas and concepts for the video, then Filmanatix helped us to bring them to life. We are very thankful to Cpl. Jessi Redden from the Charleston Police Department for volunteering her time to be in the video. We would love for it to be included in law enforcement trainings throughout the state of West Virginia. We hope our video will bring understanding and awareness to these kinds of situations. Please contact us if you need a Visor Card! Also, please share this video! Physical representation of hearing loss.. Surely, Deaf ASL/BSL users are neither disabled or invisible? Welsh parents unable to afford BSL classes to talk to own children. Families with a deaf child are having to spend hundreds of pounds on British Sign Language lessons to be able to communicate with them. The Children's Commissioner for Wales Sally Holland said many were not able to afford to pay for classes. Some families have also expressed concerns about the lack of provision for children in mainstream schools. The Welsh Government said it had supported training to increase the number of translators in Wales. According to the British Deaf Association, there are about 6,000 British Sign Language (BSL) users in Wales, of which about 4,000 are deaf. It is estimated up to 90% of deaf children are born to hearing families. Ms Holland said: "I've talked to hearing parents and deaf parents about bringing up their children who are deaf and it's quite clear they're not all getting the support they need to do that successfully. "There are only between 2,000-3,000 children right up to the age of 19 in Wales who are deaf - so we're not talking about enormous numbers here. "Those children, I don't think are getting all the help that they need at the moment in Wales and we should be providing more." Kimberly Hooper, from Cardiff, has a three-year-old son called Oliver who has a cochlear implant which allows him to hear and communicate orally. Without them, Oliver is profoundly deaf. He was diagnosed just 10 days after being born with no family history of deafness, his mother said it had had a massive impact on them. The issue of providing sign classes to parents whose children also sign is valid, but so too, is further sign education post 19 where 90% of deaf adults no longer hone their sign skills or keep up with changing demands and signs. They resort to interpreters to simplify it for them. RAD/RNIB Charities refusing to oppose MacVey? Following the recent demand from the government minister in charge of welfare, that criticisms of her, or her department could see charitable funding withdrawn. Give her respect or get your funds stopped? On Tuesday 17th April, the Royal Association for Deaf people (RAD) were approached by Disability News Service and asked to answer questions regarding the Department for Work and Pensions new Work and Health Programme contract. 'Partners'? With a government agency responsible for 6,300 disabled UK deaths? and 635,000 having welfare and care support withdrawn? Including own sector deaf members! Also, (and as ATR has pointed out), why are other UK DEAF BLOGGERS still supporting these colluding charities, with one supporting no less than 34 of them? Who has so far refused to withdraw support for charities who are not condemning MacVey outright? And blocking criticism of their stance? If we aren't part of the solution we are the problem too. STOP supporting charities that accept government funding or work, until they stop killing us. Also, organise a mass charitable campaign for the removal of MacVey. Time to stand up. This time next year, I can hear! This Time Next Year fans were left in tears when a deaf woman was given her hearing so she could listen to her children for the first time. When she sat down on the studio sofa for the first time, she explained that she was profoundly deaf and could hear "nothing". Lesley, who communicated by lip reading, explained: "My parents found out when I was four." A year later back on the sofa, she revealed she could now hear after undergoing an operation. Viewers were then shown a video of her two young daughters joking that they were now too noisy for their mum, but if she "gave them more pocket money they would be quieter". Testing the device Braille Glove in the Deaf-blind support foundation from Fedor Belomoev on Vimeo. House Bill 199 and You. Recent events in Wales where deaf campaigners booked a coach to lobby for BSL access in Welsh Health areas when in reality Westminster had devolved those decisions to the Welsh Assembly, there was a glaring lack of deaf awareness that resulted in a huge waste of time. They should have contacted the Assembly direct, or used Assembly Members local to them, instead, the went for MP's who could not help them. Most welsh deaf did not know who locally represented them. In a forlorn hope, it might help them, their AM's are HERE. Below, is a list of devolved areas that the welsh assembly is responsible for. E.G. access/health is a welsh devolved area so don't write to London! Equality and fairness in Wales are also devolved you can look up relevant contacts HERE. One advantage in devolvement is that it is much easier to raise your point in Wales. A petition to the assembly in Wales requires just 50 signatures, whilst Westminster demands 100,000!! (They're too busy cutting deaf and disabled off from support and Brexit.) DWP issues are therefore Westminster's domain. 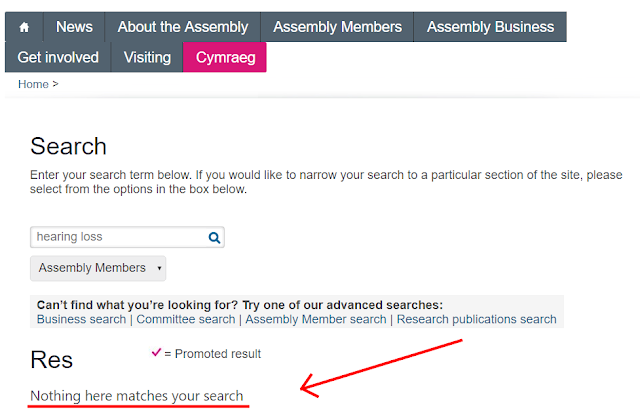 A cursory glance at the Welsh Assembly website suggests the deaf and HoH have a tremendous amount of lobbying to do, as the search options do not appear to recognise their issue, lacks viable access, or dedicated search options, it also falls foul of definition issues with D/d causing search chaos, and hearing listed under 11 different disability areas, there is no honing in on dedicated statistics, repetitive and cross-listing suggests therefore 11 different stats on hearing loss as it is included in disability areas too, duplication appears rife and uncontrolled..
Speechless from Toni Robertson on Vimeo. Top 10 Bilingual ASL/English Strategies. Pineapple University- Top 10 ASL/English Bilingual Strategies from FSDB Video Library on Vimeo. The issue seems to be deaf 'preferring' NOT to use English, this is defeating the bilingual point. The device that saved 1,000s from a world of silence. It is more than welcome we are starting to get more online videos that cover the MAJORITY with hearing loss, we can be forgiven for thinking after reading 'ASL online' that anyone is! Just because we kill disabled.....I demand respect! The fact the DWP and Ms McVey are responsible, for 6,300 disabled dead before their time, were found guilty in the European Court of Human Rights for genocide in the UK, and 640,000 disabled, deaf and vulnerable, were deprived of essential support and care, and terminally ill lost their homes, is no reason apparently to misrepresent or challenge her. Now she issues a directive and threat if charities challenge her or her position she may 'look again' at funding. The burning question is why are any of these charities colluding with the state anyway? Maybe they too need to be taken to task for collusion? It looks like money comes before principle or defending the lives and rights of their clients. The reality hardly any charity in the UK HAS a viable grass root membership because they walked away from them, it looks ominous for those who are sick and need help. The cull goes on. Disability charities that sign up to help deliver the government’s new Work and Health Programme must promise to “pay the utmost regard to the standing and reputation” of work and pensions secretary Esther McVey, official documents suggest. The charities, and other organisations must also promise never to do anything that harms the public’s confidence in McVey (pictured) or her Department for Work and Pensions (DWP). Disability charities like RNIB, the Royal Association for Deaf People and Turning Point have agreed to act as key providers of services under the Work and Health Programme – which focuses on supporting disabled people and other disadvantaged groups into work – and so appear to be caught by the clause in the contract. At least one of them – RNIB – has also signed contracts with one of the five main WHP contractors that contain a similar clause, which explicitly states that the charity must not “attract adverse publicity” to DWP and McVey. The £398 million, seven-year Work and Health Programme is replacing the Work Programme and the specialist Work Choice disability employment scheme across England and Wales, with contractors paid mostly by results. 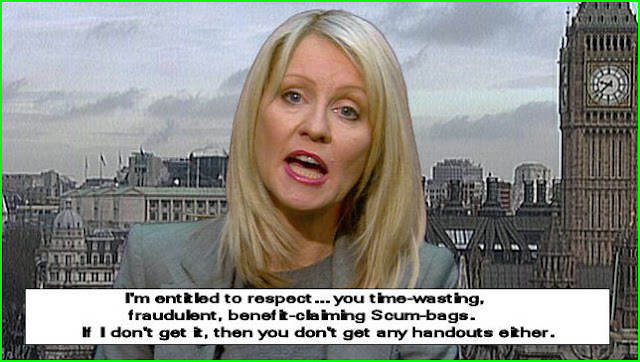 All the disability charities that have so far been contacted by Disability News Service (DNS) insist that the clause – which DWP says it has been using in such contracts since 2015 – will have no impact on their willingness to criticise DWP and work and pensions secretary Esther McVey or campaign on disability employment or benefits issues. [This is a lie, they are not challenging the DWP]. Welsh Deaf Rugby to Tour New Zealand. Deaf/Disabled undermined by fake assistance animals and fraud. Reports recently emerged of accusations against Uber drivers in the United Kingdom regularly refusing to take a cerebral palsy sufferer as a passenger because of her service dog. This follows a number of reports pointing to the growth of fake disability assistance animal documentation. Our 2016 workshop found documentation fraud also occurs in Australia. These issues highlight the confusion around the distinction between pets and disability assistance animals. Our recent research shows that, amid the confusion, faking and gaming also occur regularly, and there is a lack of understanding of when an animal is and is not legally protected. Guide dogs help people who are blind and deaf, while assistance animals help those with physical and mental impairments. Other animals can provide therapeutic and emotional support for people with psychological and emotional conditions. To be recognised in Australia, an assistance animal must have appropriate training in helping people with disabilities manage their conditions. While some accreditation systems operate in the state and territory jurisdictions, the Federal Disability Discrimination Act 1992 contains no requirement for accreditation and overrides state and territory laws. A person can thus claim their animal is protected as an assistance animal without any form of accreditation. For instance, a key finding of Mulligan v Virgin Australia Airlines 2015 was that an animal could be trained by an organisation outside of those accredited by the act. People with valid assistance animals continue to face discrimination, even where the legal status of the animal is clear. Urgent legal and policy attention is therefore required to promote greater awareness in dealing with a person who is accompanied by an animal. Unscrupulous businesses in the UK are exploiting the current regulatory framework to sell under-trained animals to people with disabilities. Similarly, fake apparel and documentation designed to enable disability fraud are now being cracked down on in many US states. Documentation checks are not as common in Australia, although our 2016 workshop found signature fraud still occurred. Users who do not have a disability and are not entitled to use an assistance animal. Accredited trainers in our study had found their accreditation documents fraudulently provided to airlines. However, other duty holders found it was not commercially viable to challenge documentation and apparel. Users who are entitled to an assistance animal, but the animal is inadequately trained, or the person with a disability has decided to use a species where no training standards exist. 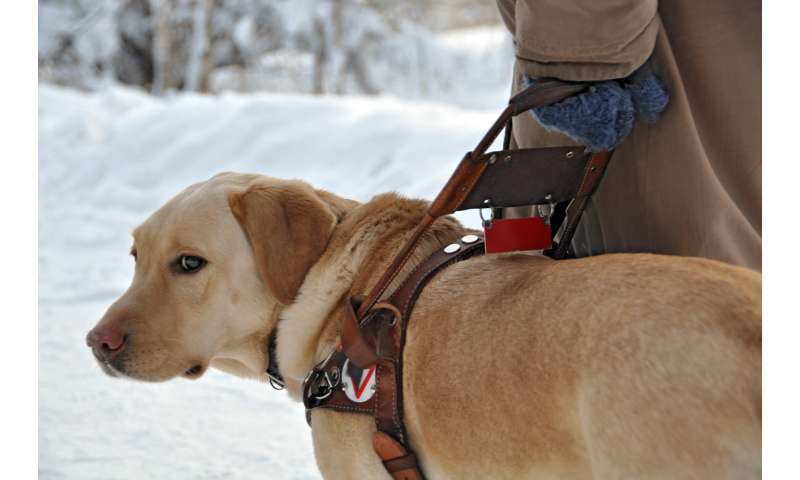 These species are extended protection under anti-discrimination laws in most states but do not have the same level of training standards of guide-dogs. The issues arising from fake assistance animal use are manifold. First, people may obtain undeserved benefits from transport operators, schools, hospitals, and other public or private service providers. Second, it consumes resources that should otherwise be available for people with actual disabilities and assistance animals. Third, it fuels negative public perceptions and feeds prejudicial attitudes about disability animals and their users. The effect on public perceptions and prejudicial attitudes may also disproportionately affect those with "invisible" or less obvious or accepted disabilities. Finally, fake assistance animals may be poorly trained, posing public health and safety risks. In one reported case, a poorly trained Saint Bernard wearing a service vest attacked a quadriplegic woman's golden retriever service dog after being "startled" by the woman's wheelchair. Google Deaf Sign Translator from Marcelo Szpigel Dzialoszynski on Vimeo. Jazz Festival: Human Rights say, they don't have to provide deaf access. The Montreal International Jazz Festival should not face repercussions for refusing to provide a sign-language interpreter for a deaf concert-goer last year, according to a recommendation received by Quebec's Human Rights Commission. Natasha Luttrell, who is deaf, reached out to the jazz festival ahead of a June concert by Ontario band Walk Off The Earth. Montreal Jazz Festival won't provide an interpreter for the deaf music fans. She wanted them to supply an American Sign Language (ASL) interpreter, as well as a designated space so deaf audience members could see the interpreter. The jazz festival told her that sign language interpretation was not a service they offered, so the band ended up providing one at their own expense. Ontario band Walk Off The Earth ended up providing an interpreter at their own expense. They're pictured here playing the CBC Music Festival. But without a designated space, Luttrell said she wasn't able to fully appreciate the show because she couldn't see the interpreter. "The whole experience was terrible," Luttrell said in an email. "I missed the concert and wound up in a giant ball, crying because I did not have a view of the stage and was unable to communicate with anyone." She filed a complaint afterwards with the Human Rights Commission. "The problem is that deaf individuals have physical access to many places, but lack language access," Luttrell said. "I can go to a town hall [meeting] and have no idea what the elected official is saying. Is that democracy?" 'I can't believe it happened': Accessible Montreal concert a dream come true for Deaf music fan. But in a recent letter to Luttrell, the evaluation advisor in charge of her file said: "Nothing indicates that you could not get the services offered by the Jazz Festival." The advisor added that she intended to recommend that the commission close Luttrell' s file. Luttrell said she was "extremely upset and alarmed" upon receiving the news. The film was not about deaf people or sign language, it is about the fact silence unsettles hearing people and that aspect was used to create a horror film. Only the deaf online are equating the film with deaf issues and language. In reality, silence is a serious issue to cope with, as is relatively quiet, as people who are losing hearing know, and why a number develop mental health issues being unable to hear any more. We know the 'Deaf' ridicule the issue of silence because most who state that view had no hearing of use to start with so have NOT been put to the test of adapting to it, indeed did NOT suffer hearing loss in many parts. We at ATR can recall when born deaf here in the UK, (i.e. deaf people who were born with no useful hearing whatever), at the adult stage were offered CI's. There was a concern by deafened and HoH that they would not benefit by a CI having been brought up in a total 'Deaf' environment. Two women decided they would opt for a CI, one, took to it but kept signing regardless and it was found she had actually turned it off 80% of the time. The other preserved for 2 months then asked the hospital to remove it as she could not cope with sound, so 'A noisy place' wasn't for them. She was criticised by peers for having a CI, and decided a CI wasn't worth risking her social life for. It would appear not only hearing are unnerved by silence and quiet, but so are deaf with sound. What we read online is just further opportunism by deaf activism to highlight the use of sign in media, but they appear to have missed the real point of the film. Silence isn't golden in this case, it is a lifesaver. It's about me, not my disability? She is wrong. The individual first, not the disability, the culture or the language. You don't let dogma define you. Of course it has an effect on you but it should never define you via an identity that is playing other people's games and perceptions. You become totally and inwardly focused on your issue. I cannot hear, so what? National ASL Day from One Call on Vimeo. A reason ATR campaigns for professional-only support. There are problems amateurs translating without appropriate qualifications to do so. We tried to get a ban on family doing this in the interests of the deaf individual but were opposed by deaf activists and charities, despite the reality family and friend help was killing demand for professionals and affecting the independence of deaf people. There is a need to separate family help from professional, and in health areas this is essential, as the poster says this puts the blame on her if things go wrong, and makes her responsible in legal terms. By all means, offer family support, do not attempt translating if you aren't qualified for it. The UK demands at least BSL level 4/5 and beyond as a basic, and there are specialised translators for medical and legal areas that require even higher qualifications because of the jargon used. This serves many vital purposes, e.g. it creates demand, gives the deaf person more freedom of choice, and more safety too. Be cruel to be kind, say no, and book a qualified terp instead and teach your deaf family to do the same. You may not always be around to help... and you just create reliance on you which hinders the deaf person. You can get stuck with that reliance for life. This is disabling your deaf family, not enabling it. You would not accept an amateur operating on you, would you? Why accept an amateur making your decisions instead of you? Family or not. 'Acting in your (Or their), best interests' is how it all starts. They see you struggling to follow and make that decision for you. A terp will explain options and you make the decisions. But will this mean a challenge to deaf schools and BSL education? The end of 'annexe's' in mainstream schools? Does the article writer understand why so many deaf are still resisting inclusion in the classroom? Or that their idea of inclusion is different from ours? even with support? 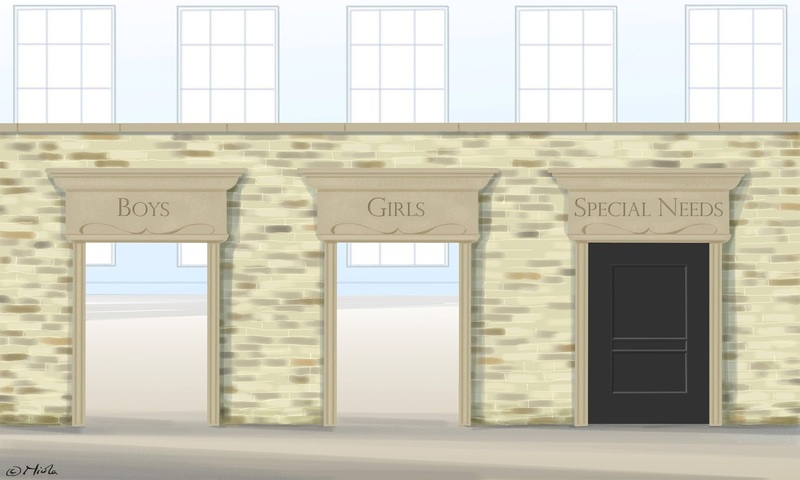 The idea of inclusion is based on the simple principle that schools should reflect the world at large so that education in the dry stuff of spelling and sums is accompanied by schooling kids in the meaning of diversity. Hearing people’s stories, you rather get the sense that this ideal is slowly being superseded by a mixture of chaos and the gradual return of segregation. I must confess the research from these people, doesn't look valid at all to me. And should they have an exclusive channel? Erm no, because it isn't inclusive enough, and doesn't enable mainstream sign access either. It moved deaf access sideways and out of the main event, they were sold a pup. An inglorious isolation in secular media. It's assumptions and guesswork with sprinklings of truth to make it look positive towards the BSL area, who didn't provide any valid input to it, because the Data Protection Act prevents questions being put to them, they would need identifying first. Just because you have a hearing loss or deafness only one label is being applied. It is a basic untruth the survey was solely about the BSL using deaf, they included stats that were not relevant to them. A classic example of lies, damned lies etc... We have an alleged 10-11m HoH they haven't found yet let alone 10 times the amount of BSL users claimed when nowhere near that number stated it on the census, the question on usage or fluency wasn't asked many hearing people said they signed too, but their usage and fluency wasn't asked for either. The issue regarding the UK census was that after having pressured the census people to include the sign language question, they objected to the answer because it didn't justify their claims. Numbers went from 90K BSL users down to 15K. Here we read 144,000 now. We need to understand BSL research like HoH research is based mostly on guesswork, not fact. A loss doesn't always equate with a need for support. HoH is a prime example. It's a great way to lobby as there is no proof to the contrary for what is claimed, and challenging it is impossible too. 'Think of a number, double it...if it is unchallenged, up it even more..' is a time-honoured approach to raising awareness. Numbers do not equal need either. As such, I challenge the producers of this survey to provide real data. There was no mention of existing BSL support which is in relation to HoH support, is far superior and a national one. It may or may not be enough but demand determines it, not surveys. I cannot help but think all this undermines and distorts need since it is impossible to target and help unless you KNOW who needs it and to what degree. I am mindful the real stats come not from the GP's or the bias areas, but e.g. Social Services and care provision. Who has turned up and asked for help? Has identified their needs? DEMAND. Access and support are not necessarily the same thing, and the BSL communal approach is very confusing on these aspects. If we are to start quoting statistics one that exists, is that less than point 2% of any area tends to not get involved in any sort of research, in the deaf area this is lower still. HoH charities will know, asking for feedback is just an automatic thing, they hardly expect anyone will reply. The BDA the survey quoted hasn't any members to provide feedback that is meaningful, yet the BSL survey quoted huge numbers from them. When ATR has in the past asked systems for accurate statistics it can quote, the response has been, ask the charities dedicated to those areas not them. So bias is obviously part and parcel as the areas are dedicated and specific to them. Support systems respond to BSL lobbies because they can see those, the HoH does not have any image, (or don't care to lobby anyway), they really do have an invisible issue. I am unsure they should take it that literally if they want more support and access provision themselves. That is an issue for them to sort out, but you can hardly blame the BSL area for using whatever it can to get what they want, including clinical and HoH statistics, and even disability ones despite the claim they have no disability but hearing oppression, which is a right not access issue politically. Unsurprising therefore support campaigns appear only to declare and highlight sign language issues, they don't get any responses to consultations or research from anywhere else. Unfortunately, this then leaves the access and support direction in the hands of the few with a vested or singular interest, like this BSL TV area dedicated to sign-language and confusing or distorting hearing loss as a clinical issue. I think it would surprise many, that the directions of access and support lobbying is in the hands literally, of the few, and not by consensus. Most feedback occurs not in state system statistics, but online, and that is no help at all to gathering meaningful data. Braille Band Keyboard from DOUBLEDOTS on Vimeo. Braille communication device for deaf-blind and blind people. Braille Band is a braille input device that connects to smartphones via Bluetooth. It allows users to input texts and navigate without actually touching the screen. Braille Band is a watch-alike refreshable braille output device. This enables users to acquire information on their smartphones such as notifications and messages through understanding braille pins raised through holes. New product trends related to devices at the ear have taken up some rather interesting names – hearables, wearables, and earables – in addition to the more traditional hearing aids. A hearable is described by Wikipedia is “a wireless in-ear computational earpiece,… housing a micro computer and uses wireless technology to supplement and enhance your listening experience. Many hearables will also feature additional features such as heart rate monitoring…” Smart Advisors and Smart Headphones are terms that have been used to identify the same type product, but these terms appear not to have been accepted for common use. Hearable, as a term, was introduced just recently in 2014 by product designer and wireless application specialist Nick Hunn, and reportedly simultaneously by Apple in the context of their acquisition of Beats Electronics. Some individuals envision hearables as essentially wireless earbuds having advanced technology based on audio information principles and services. Others see hearables more as advanced and innovative hearing aids taking on additional functions. Regardless, hearables are more than a variation of existing headsets/earbuds, or hearing aids. They have the potential to be whatever one wants them to be, in which case one can argue that if it sits at, on, in, hangs on, or maybe even hovers by the ear and incorporates audio in any way, it is a hearable. Hearables can be expected to employ varying sophistication and application beyond what they do today. Valencell (2006) has been reported to have provided the first description of a wearable ear-worn multimedia platform for health monitoring, entertainment, guidance, and cloud-based communication. For information purposes, the writer of this post was involved in a project primarily for vital signs monitoring in the ear canal in 2003 with a major U.S. medical company, so that type function of this concept had been investigated even by then. Even though the term hearable had not been identified until 2014, Entrepreneur Magazine dubbed 2015 the Year of the Hearable. At the CES (Consumer Electronics Show) in 2014, Hunn went so far as to nominate smart wearables as the breakout technology and predicted a global market of $5 billion by 2018 (Figure 2). Hearable is a neologism that could be said to involve any of the combination terms of wearable, ear, hear, head, or headphone. Take your pick, although my preference is for combining hear and wearable, especially since it involves some kind of audio, implying hearing, and at the ear. 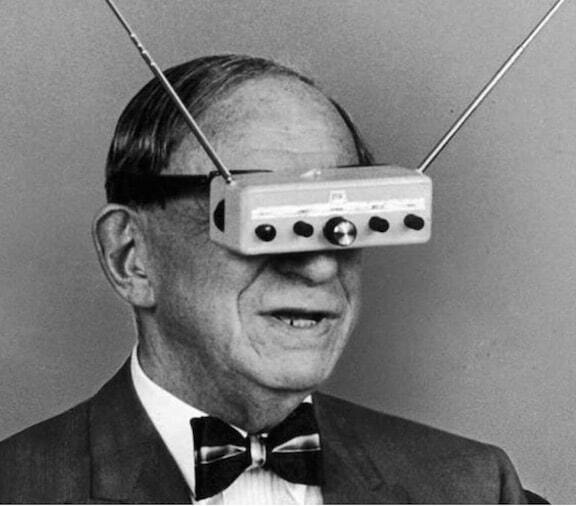 The hearable has emerged partly from wearable technology. If the wearable device is worn in the ear, and manages features other than audio reception (vital signs monitoring only, as an example), I would define this as an earable because it is gathering information from the ear while being worn. A wearable, on the other hand, is described as consisting of smart sensor electronics that are worn on the body – either as an accessory or as part of material used in clothing (Figure 3). A major feature is the ability to connect the technology to the Internet (usually using Bluetooth), thus allowing for the exchange of data between the device and a network. Wearables have provided tracking information related to achieving goals of staying fit, being active, losing weight, or just to be better organized. They have been integrated into the flow of a synchronized daily life. As such, the technology has been worn on body parts having the most obvious link to fashion – especially the wrists, but also the eyes, and feet. The popular wrist band FitBit and Smart Watch provide good examples of wearables. Final report to the British Sign Language Broadcasting Trust December 2015. The British Sign Language Broadcasting Trust (BSLBT) commissioned the Office for Public Management (OPM) to conduct a review of evidence about the Deaf audience. 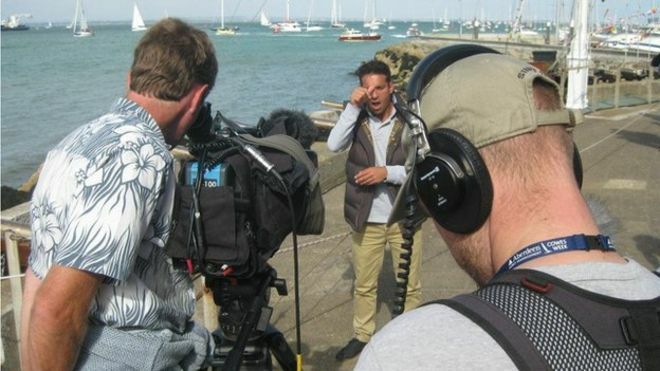 The purpose of this research is to understand more about the highly marginalised Deaf community within the UK, with regards to demographics and language use, as well as life issues such as integration into the wider world, health status and access to health services, and use and views of television and the internet. The findings will assist BSLBT in using its resources cost-effectively to provide future television programming for the Deaf community. It is also hoped the report will add to the wider world’s understanding of the life experience of Deaf people and the issues Deaf people face. This report focuses on Deaf people whose first or preferred language is sign language. They do not view their deafness in medical terms, and reject the notion of deafness as a disability. The Deaf community sees itself as having a distinct social, cultural and linguistic identity. The term ‘Deaf community’ is generally only used and understood by that minority of deaf people for whom being deaf is a significant part of their cultural identity and not those who view their inability to hear as a disability. Size and demographics of the Deaf community. There are no reliable estimates of the total number of Deaf people in the UK or their demographic profile. Balance of the use of British Sign Language and standard English. There are comparatively few studies that assess the health status of Deaf people in the UK. However, one recent comprehensive study was the Deaf Health study. There are a number of studies focussing on access to health services. 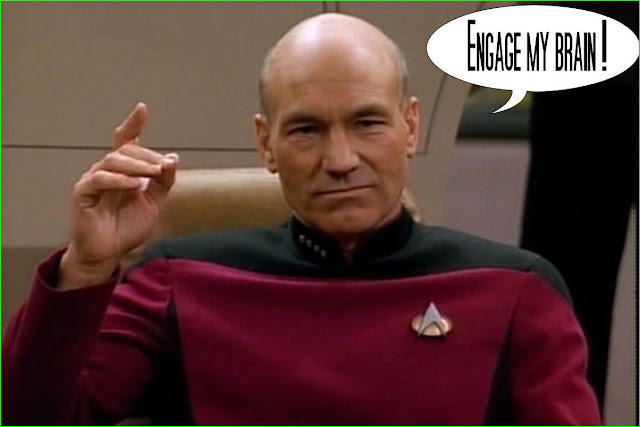 There is limited recent research on Deaf people's experiences of new technologies and social media. The literature tends to focus on the use of communication technologies, such as SMS and email, as well as the use of the internet among the Deaf community. The review did not identify any data on the use of social media, notably Facebook and Twitter, and applications such as FaceTime/Skype. • Recognise the marginalisation of Deaf people as an important manifestation of the current social policy focus on overcoming isolation It can often be easy to regard issues relating to the Deaf community as “minority issues” that are only relevant to specialist organisations. This review, however, challenges this perception by showing that the experiences of the Deaf community are manifestations (and amplification) of cross-cutting social issues that have wider relevance for society, albeit with important nuances. For example, isolation and exclusion were recognised social problems demanding the highest level of attention from policy and practice. It is important to appreciate that we, as a society, cannot hope to tackle such problems meaningfully if we do not address the needs of some of the most isolated and excluded segments of society. A truly inclusive society requires us to treat every person as a person, first and foremost, and not as an identity label. We recommend that the findings in this review while relating to the Deaf community, are not treated as “minority issues” that are bracketed off and de-prioritised. Instead, we strongly encourage a genuine person-centred approach that enables us to break down silos and adopt more holistic approaches to solving the problems identified. Royal wedding: Deaf teenager gets invite.. The first Deaf solo circumnavigation. White Boards for HoH Hospital use. 5 ways to initiate hearing-deaf communication. Deaf Man's 911 text saves his home. Deaf Schoolboy to stay in UK to claim asylum. Levelling the UNI playing fields for the deaf. Europe: People with hearing difficulties. Sian is a real Inspiration!